Send Flowers by Type: Roses, Lilies, Tulips, Carnation, Gerbera, Orchids and Much More!!! Whenever you are supposed to express your feelings to someone, then flowers are considered as the best medium to convey the message. The world of flowers mesmerizes everyone. Therefore they are the most expressive gifts for every occasion. No one in this world can stop himself by admiring the beauty of pretty flowers, whether it’s the flower full of romance as rose, or as gorgeous as gerbera, if there are flowers the hidden message is conveyed automatically. For all the happy occasions that need to be cheered with the loved ones, flowers are used. But different people have different choice of flowers. To cater this need of flowers we are available with various pretty flowers such rose, lilies, tulips, carnation, gerbera and orchids. And that’s not it; our presentation will also win your heart. Whether you are looking for a bunch of flowers, a beautiful flower arrangement, heart shape romantic flower arrangement, glass vase arrangement or simply basket arrangement we have flowers in the most demonstrative form for you specially. You can Send Flowers Online to India from anywhere around the world. 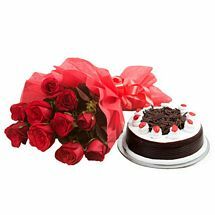 Whether its the birthday, anniversary, Valentine Day, Father’s Day, Mother’s Day, Holi, Diwali or any other special offerings of the year, you can very easily convey your wishes with the array of beautiful flowers available with us.